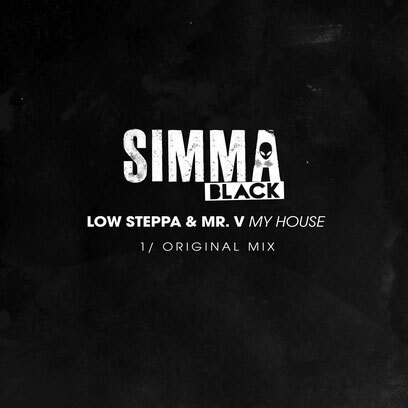 Wrapping up a year filled with two EPs, collaborations, and gigs at festivals and venues around the world, UK-based DJ/producer Low Steppa closes out 2017 with the release of his latest concoction titled ‘My House,’ available now via his own Simma Black Records. Collaborating with old school producer Mr V on the track, Low Steppa blends classic minimal house melodies with percussive synths and breaks to create a tune reminiscent of the sounds of the vintage garage underground. Driven by old school vocals, it’s a club-savvy track aimed at keeping the dancefloor going into the early hours of the morning. Since the UK producer’s emergence onto the scene in 2013 with his bootleg of Route 94’s ‘My Love’ hitting over 2.75 million plays on SoundCloud and becoming a regular feature on Kiss FM and BBC Radio 1 Xtra, Low Steppa has made a name for himself as a player within the bass house scene. In addition to releases on labels including Armin van Buuren’s Armada and Shadow Child & Kry Wolf’s Food Music, his label Simma Black is doing well, regularly entering the Beatport and Traxsource charts with singles from a variety of producers. Outside of the studio, he has recently played several high-profile gigs around the world including Reading & Leeds, EDC Las Vegas and a Monday night residency in Ibiza. Coupled with the release of more tunes and collaborations, 2017 is set for a handful of tour stops at major cities across the U.S. In the meantime, you can hear Low Steppa on UK radio station Rinse FM for his resident show every third Friday of the month from 1am-3am. Low Steppa in the U.S.